SPOILER ALERT: It's book versus show in this recap of The Handmaid's Tale! We repeat, there are spoilers for *both* the book and the Hulu show in this recap. END SPOILER ALERT. 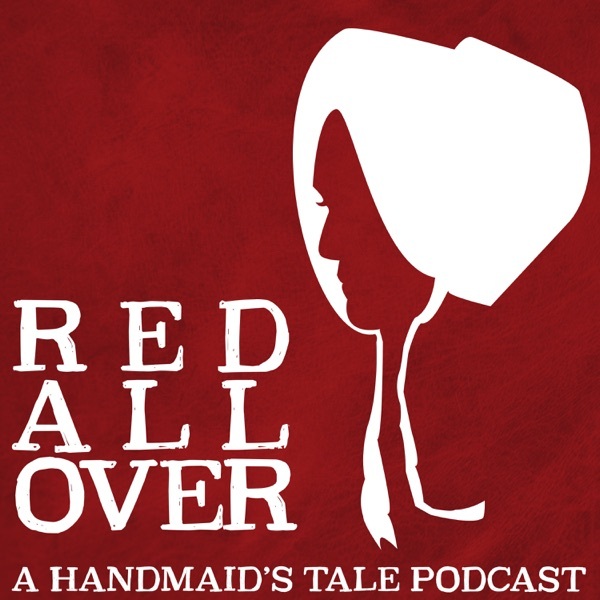 Kelly & Molly wrap up their discussion of The Handmaid's Tale novel by digging in to the very meaty epilogue. After meeting (and making fun of) Professor Piexoto, they decide that Princess Diana loved the movie Hook, unpack some new info on Econowives, deliver a #noconfederate message, marvel at the horrors of Gilead cosplay, sing a ditty about ragtime Arctic char, beg Bruce Miller for writing jobs on the Hulu show, imagine a homemade Teddy Ruxpin, advocate for disgust stretching, and introduce the Anneken Test for movies & tv. Keep the ratings, reviews and recommendations to friends coming and we'll be back soon!